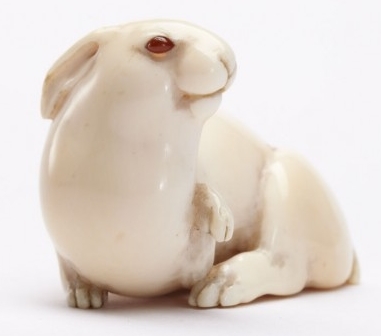 The Hare with Amber Eyes is a book by Edmund de Waal - a potter. It describes his inheritance of an incredible collection of 264 antique Japanese Netsuke - tiny carved animals or ornaments. His website is here. The Hare is shown below.